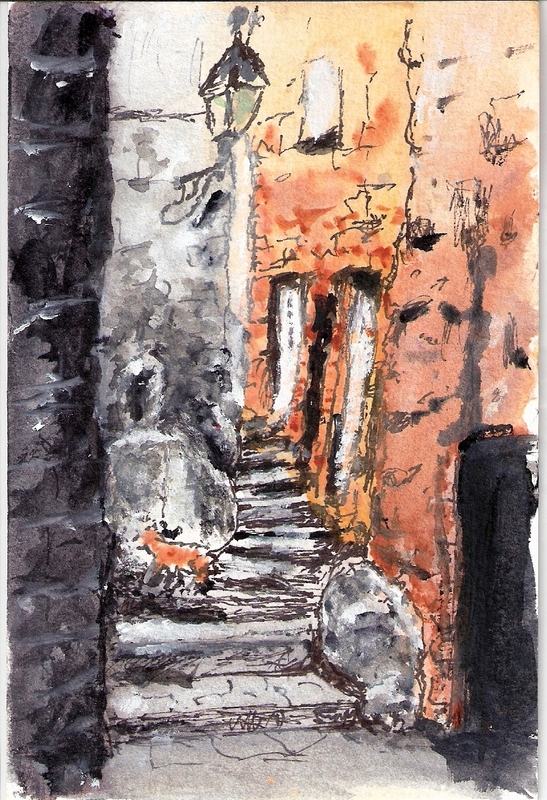 Orange Cat on Steps; watercolor and ink, 4 x 6. Beside attempting to paint as Marc Chagall did, I have painted landscapes in oils and watercolors. Additionally, my latest work on galaxies and the planet Jupiter are acrylics on canvas. Take a look. They can be seen at the following Facebook link.